What are your screen printing business goals for 2019? Because it's the beginning of 2019, which means it's a great time to have a bit of a mental refresh from last year and separate it from the goals and accomplishments you want to achieve this year. You've got an opportunity to get yourself and your team pumped up. What I've got for you are 10 different tips for crushing 2019. 1. Evaluate poorly performing employees. Time to start thinking about the employees that you've kept around despite their poor performance. You've either been too afraid to fire them, or just didn't want to worry about it right now. It's time to evaluate and communicate with those employees. Take 30 days and create a plan to help them improve and clearly show what you need from them. Have weekly one-on-one meetings with them to be able to help improve and get them where you need them to be. You don't want to just fire them. The reason you don't just want to fire them is because you spent a lot of time hiring and training them to get them where they're at right now. If you could retrain them, you could save a lot of time – and money. So create a solid and realistic plan, sit with them, work carefully with them. Tell them, "I want you to be successful too, and here's how we can do this together." If it doesn't work out after 30 days, and there's no change then they're not a good fit for your team. Cut it off, and start hiring. The next thing is the efficiency of your equipment. If you've got really old, ancient laptops, you need to invest in faster equipment. The time that you're sitting around waiting for things to load and process is killing your efficiency. This could be internet speed, this could be printing equipment, this could be a faster dryer, this could be even a better press. Invest in equipment to make yourself more automated and efficient. 3. Clean up your branding. You really want to clean up your brand. This just isn't your website, your logo, your business cards, or your flyers that you give out. This is cleaning up the true customer experience that a customer has with your company. That could be how people email, how people talk to your customer, what they feel like when they walk into the shop. What does it look like? How does it smell? What are the vibes that you get? All of that creates your brand. Spend a week and just clean that up. Tighten it until it's really consistent, fresh, modern – something that inspires a personal reaction. 4. Get your online reviews right. Do you ever go check out a restaurant online and look at the Yelp reviews, only to immediately decide you're not going to go because it's a two- or three-star restaurant? Well, customers and potential customers of yours have the exact same experience when they research you online. So, send over your happy customers to online review websites like Google Places, Yelp, and Facebook to make sure that you can have enough positive reviews set up in case of an upset customer. The goal is to make it so some bad reviews won't bring down your average score. That dramatically helps improve your brand's image. 5. Go to trade shows. Take some time this year and attend at least one trade show. Maybe even come to PrintHustler Conf 2019! There's some really, really great ones out there, and they're all over the country. There are tons of incredible bargains on all sorts of services and equipment. Plus there's seminars and lessons about things you'll want to learn about. Printwear has NBM, there's ISS, there's SGIA. We will be at ISS Long Beach Booth #3001 – come see us! Just spend a weekend, go there, learn, connect, pick up and soak up as much as possible. You'll get super energized. Bring your top players at your shop too! This is a neat one that a lot of tech companies use: social proof. If you ever go to a website where you're buying some sort of application or service, you'll probably see a lot of different logos or examples of customers that they have. Be sure to put those logos on almost everything that you hand out that customers can experience: your website, business cards, flyers. The reason that that's helpful is the psychology of customers. They really don't want to be the first one trying something out. They want to know that you've been trusted by other companies that are bigger than them. They'll follow the example that others set. Social advertising.You've seen Facebook ads, you've seen Twitter ads, you've seen LinkedIn ads. You know what they are and you know how powerful they are. So start using them! You really want to dive into a platform and start testing. Play around with it for about three months. Spend about a hundred dollars a month, and try to earn at least that back based on the sales that you have coming back in. You can set up a very easy funnel to measure this, too. If you measure the sales coming back in through conversions, and then you can tag those based on how people heard about you or if you have your salesman ask them, then you can find out the total sale amounts at the end of each month. This is going to take some time to correctly configure and test. But there's a reason why this works very well, and it's not just for new business too. These social platforms are really great for retargeting campaigns. Retargeting truly works. When a user bounces off your website, you can show them a ton of ads after. They'll be right there to see your brand and funnel right back in. 8. Invest in direct to screen. Go to trade shows and you ask large shops "What has helped?" and "What do you wish you had done earlier?" A lot of them say direct to screen setups. Check out the guys at Superior Image KS as they show off their direct to screen setup. So, take a look at direct to screen next time you're at a trade show or you're visiting another shop. The efficiency is very, very impressive – especially with setting up jobs and reducing pre-production time. 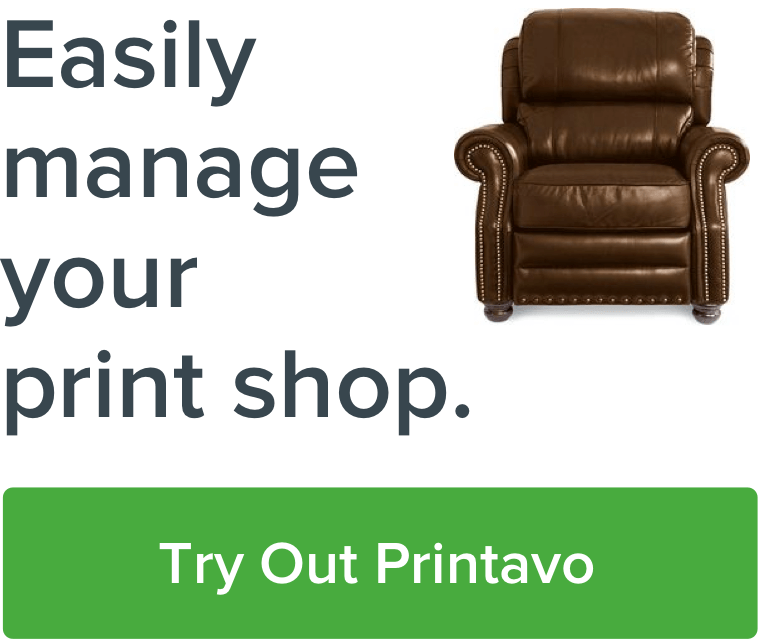 Remember, any time not printing is time that's costing you money. The direct to screen system saves you time and effort. 9. Get that automatic press. This one's for the manual shops: focus on getting your first automatic. The reason is pure efficiency. Now, you can easily calculate the payout, especially if you take a financing deal with one of these automatics, and be able to know how much you need to print to be able to pay it off, plus your overhead, plus profit. It's very exciting. Just like direct to screen, you're improving your efficiency. You're improving the amount of impressions that you can print per hour, which means that your turnover is a lot higher. That's the name of the game: get jobs in and out as quickly as possible. Last but not least – because I really do view this as the most important thing – keep an extremely optimistic mindset. Having the right mindset to tackle this year is going to be really crucial, and that energy is going to filter down to your team. I like to call it "extreme optimism." Have extreme optimism, even if there's any mistakes in orders or bad hires. Everything is an opportunity. View it as such, and be overly – almost stupidly – optimistic. That is going to create a really solid and positive culture for you and your team. That's the kind of energy that will help you propel the business long-term. I hope that you implement some great changes in 2019 and make smart choices for your business. I'm super pumped about this year. If you've got other ideas, we would love to hear them. Drop them in the comments below, and let's get moving.